Introduced mid 2012, the entry-level NX1000 is the firm’s entry-level model featuring the firm’s 20-Mpix CMOS with a wider than average ISO100-12,800 sensitivity that shoot up to 8 fps (albeit for only 8 frames). Also unusual at this level the camera has a high-resolution 3.0-inch 921k-dot TFT LCD panel and, as part of the firm’s global Smart Camera initiative, features built-in Wi-Fi connectivity with image transfer and remote viewfinder options. Video also included some ambitious features. Apart from the expected full HD (1920 x 1080 pixels) at 30fps, the NX1000 featured an unusual super-wide (cropped) cinematic option with 1920 x 810 pixels at 24fps. Later in the year the firm launched the NX1100, a practically identical camera. 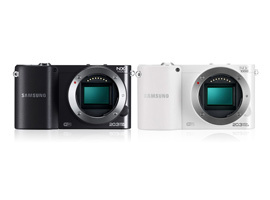 The NX1000/1100 both measure 4.6 x 2.5 x 1.5″ / 114 x 63 x 37mm and weigh 0.5lb / 232 g with battery and memory card. Although the NX1100 is discontinued in some markets (particularly the US), the NX1000 is still available at $349 with 20-50mm kit lens. 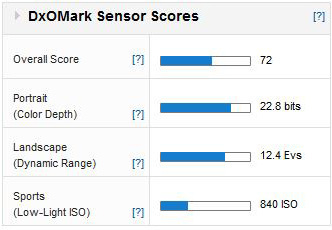 With a DxOMark score of 73 points for the NX1100 and 72 points for the NX1000, these two cameras perform well and are ranked in 74th and 64th place (though keep in that doesn’t take into account joint places). 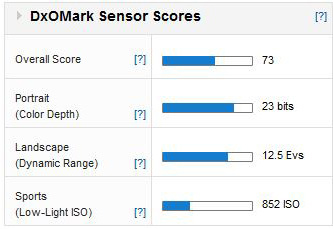 With practically indistinguishable scores for the individual metrics, it’s clear the two adopt the same image sensor. As the two models use the same sensor we’ve selected the NX1100 to represent both against two rivals offering the same pixel count (20-Mpix). Compared against the $399 Sony A3000, which presumably as a cost-cutting exercise has a slightly smaller APS-C size sensor, the Samsung is still just slightly overshadowed. The newer Sony has +1/2 stop better color depth; +1/3 stop wider dynamic range and +1/3 stop advantage in low light. Against the Sony RX10 or even the RX100 II, which uses the same smaller 1-inch type sensor, the NX1100 has the equivalent color depth at base ISO (though keep in mind it will be better than the Sony at higher ISO settings), a similar dynamic range and a fairly significant +2/3 stop benefit in low light. 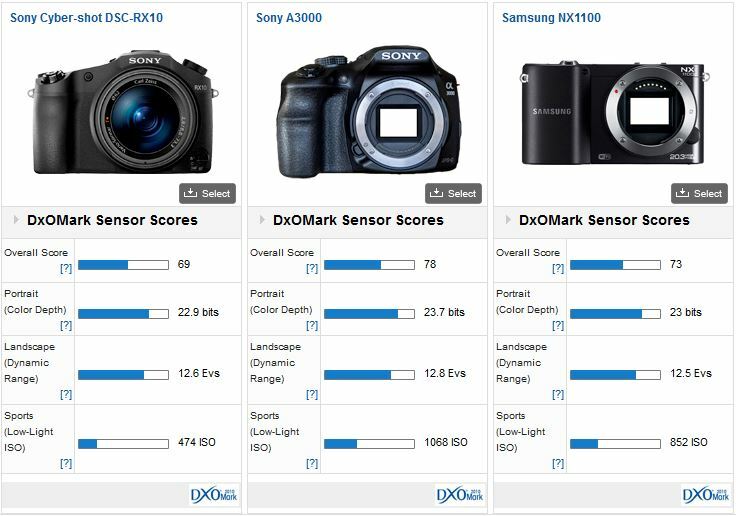 If the NX1100 can still be found for $350 including the 20-50mm kit lens it would seem to be a very competitive, however, at that same price the NX1000 is somewhat overshadowed by the Sony A3000. Not only does the Sony have a built-in viewfinder and comes with a wider range 18-55mm zoom, but the Samsung sensor can’t quite match the performance of the Sony.